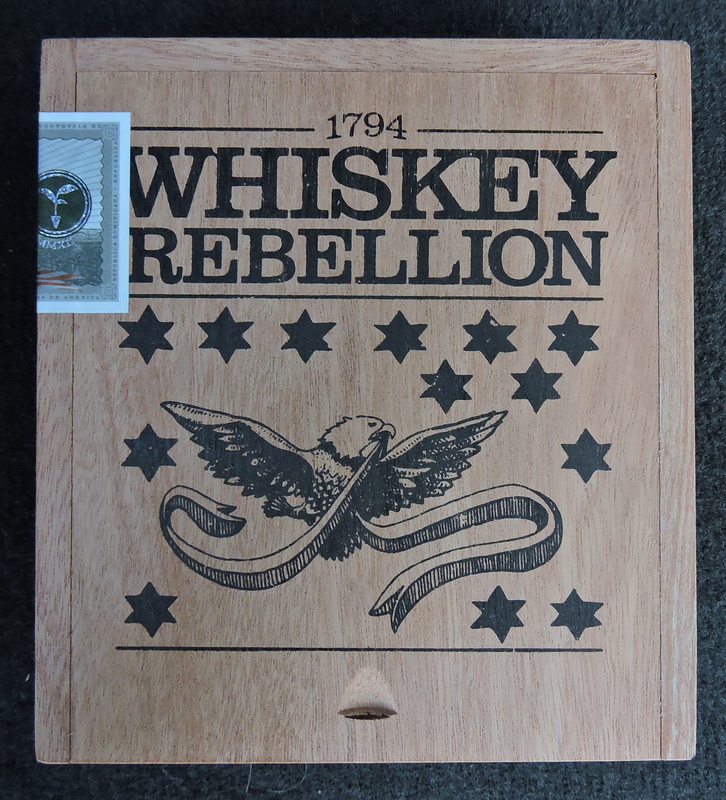 RoMa Craft’s Whiskey Rebellion marches on. Yesterday RoMa Craft Tobac co-owner Skip Martin confirmed on Prime Time Episode 82 that the company’s Intemperance Whiskey Rebellion 1794 line is heading national to select retailers. The line pays homage to the Whiskey Rebellion of 1794. It was in 1791 when the first tax on any product was imposed by the United States federal government on whiskey. When farmers in Western Pennsylvania protested, it led to the Whiskey Rebellion of 1794. The Intemperance Whiskey Rebellion 1794 made its debut earlier this month as an exclusive cigar for the Cigar Dojo community, distributed by Famous Smoke Shop. The cigar sold out in hours when pre-orders when made available to the Cigar Dojo community. That cigar was a one-time limited edition Robusto size. A couple of months later, Intemperance Whiskey Rebellion 1794 became a full line exclusive to Famous Smoke Shop in Easton, Pennsylvania. It was released in five sizes, but the original Robusto that was released to Cigar Dojo was never released with the regular line. Numerous retailers have confirmed to Cigar Coop that the Intemperance Whiskey Rebellion has been offered to them. Meanwhile, a second exclusive size in the form of a 6 1/4 x 44 Lonsdale is planned for the Cigar Dojo community in 2018.